Keshet International’s big week is continuing with the launch of a US$55 million global content fund aimed at high-end drama projects. The launch of the fund comes a day after KI, the international arm of Israeli broadcaster Keshet, confirmed the acquisition of UK producer group Greenbird Media. The new fund is launching in partnership with several holding and asset management companies such as Altshuler-Shaham, Phoenix Insurance, Arxcis Global Wealth Management and Halman Aldubi Investment House Ltd. The financiers’ interest is primarily based on the belief investment in high-end drama is largely uncorrelated to equity markets – meaning it is not prone to volatile market changes. 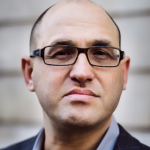 “We view the KI fund as an opportunity to benefit directly, on behalf of our clients, from the impressive growth that the media market and the scripted content sector specifically are experiencing in recent years, as the result of the fundamental change that is occurring in global viewing habits and the technology advance media platforms which enable it,” said Amir Gil of Halman Aldubi. There have been various funds launched in the past few years to finance the growing demand for high-end drama content. Barclays Bank launched a £100 million (US$139 million) pot to aid UK producers finance new SVOD-focused drama, while Newen Distribution created a London based to oversee a separate €50 million (US$62 million) drama fund. Switzerland-based Silver Reel also has a €50 million reserve for television drama, and Atlantic Screen Media was in December seeking to raise £15 million for TV series, comic books and music scores. Keshet finance and business execs Sigal Alboher and Viktor Vakrat led the incorporation of the KI fund using advice from Rosario Capital. Keshet International’s INTV event in Jerusalem continues today. Yesterday execs such as Showtime’s David Nevins, Turner’s Kevin Reilly and Fox Television Group co-chairman Gary Newman offered opinions of the international TV business during panel sessions.